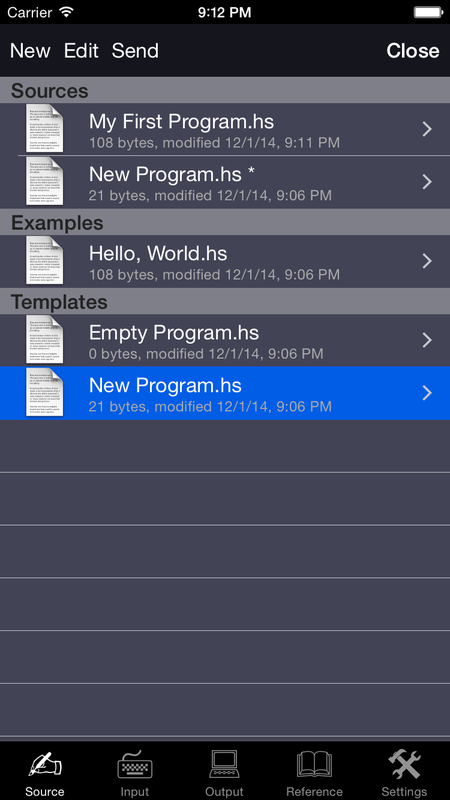 The classic Haskell programming language for iPad, iPhone and iPod touch. Programming language is a perfect tool for studying, complex mathematical calculation, entertainment and many other useful tasks. 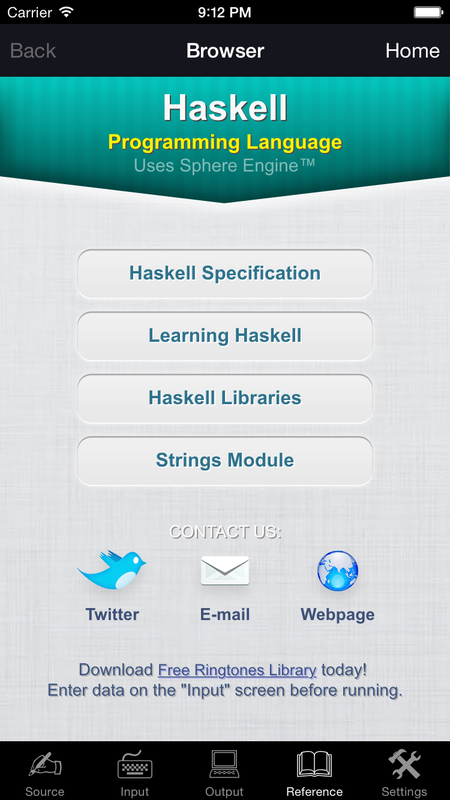 The application is especially useful for learning the Haskell programming language. You have to buy compilations inside the application. Internet connection is required. Haskell is a standardized, general-purpose purely functional programming language, with non-strict semantics and strong static typing. It is named after logician Haskell Curry. 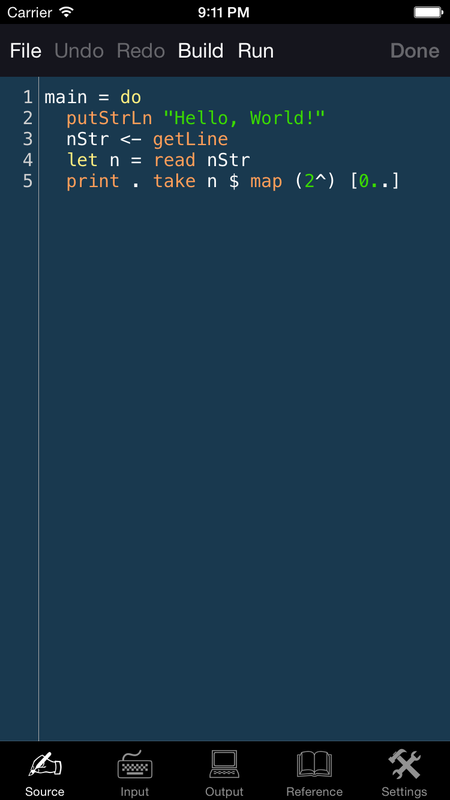 In Haskell, “a function is a first-class citizen” of the programming language. 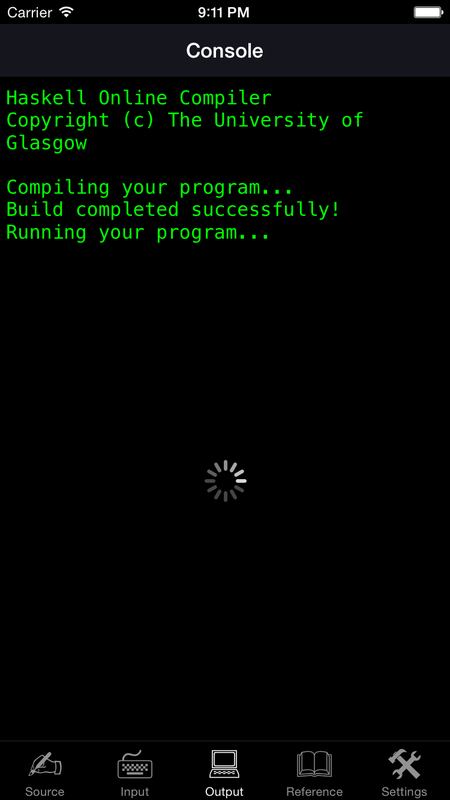 As a functional programming language, the primary control construct is the function. Following the release of Miranda by Research Software Ltd, in 1985, interest in lazy functional languages grew: by 1987, more than a dozen non-strict, purely functional programming languages existed. Of these, Miranda was the most widely used, but was proprietary software. At the conference on Functional Programming Languages and Computer Architecture in Portland, Oregon, a meeting was held during which participants formed a strong consensus that a committee should be formed to define an open standard for such languages. The committee’s purpose was to consolidate the existing functional languages into a common one that would serve as a basis for future research in functional-language design. 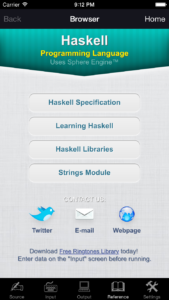 Haskell features lazy evaluation, pattern matching, list comprehension, type classes, and type polymorphism. It is a purely functional language, which means that in general, functions in Haskell do not have side effects. There is a distinct construct for representing side effects, orthogonal to the type of functions. A pure function may return a side effect which is subsequently executed, modeling the impure functions of other languages. Haskell has a strong, static type system based on Hindley–Milner type inference. 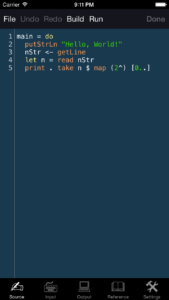 Haskell’s principal innovation in this area is to add type classes, which were originally conceived as a principled way to add overloading to the language, but have since found many more uses. The construct which represents side effects is an example of a monad. Monads are a general framework which can model different kinds of computation, including error handling, nondeterminism, parsing, and software transactional memory. Monads are defined as ordinary datatypes, but Haskell provides some syntactic sugar for their use. The language has an open, published specification, and multiple implementations exist. There is an active community around the language, and more than 5400 third-party open-source libraries and tools are available in the online package repository Hackage. 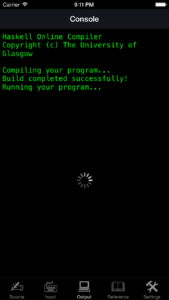 The main implementation of Haskell, GHC, is both an interpreter and native-code compiler that runs on most platforms. GHC is noted for its high-performance implementation of concurrency and parallelism, and for having a rich type system incorporating recent innovations such as generalized algebraic data types and type families.